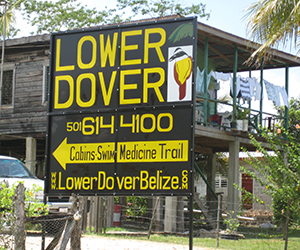 A roundup of all the latest news to come out of the Bayer School, including the proposed development of a field station in Belize, events and awards. A project is underway that is assessing the feasibility of establishing a field station in West-Central Belize. This project fits perfectly within the mission of Duquesne University in that it provides a safe and secure location where Duquesne University students can gain invaluable real-world/field experience while working within the teacher-scholar model, and is a location where faculty, often working with students, can conduct on-site research on a variety of topics. The Bayer School hosted the ninth annual Mini-Symposium on Metals in Biological Systems in December. The environmental effects of metal ions, especially in western Pennsylvania, were discussed by six experts in the field. This symposium provided a forum for researchers and educators with areas of expertise that ranged from synthetic chemistry, to environmental toxicology, to biomedical science. The event helped fostered new collaborations and friendships between scientists with complementary skills and goals. Congratulations to senior biology major Chris Ignatz who won the John C. Johnson Award for Excellence in Student Research for his first place poster presentation at the Tri-Beta Northeast District Convention held on March 29 at Grove City College. The award includes a travel award to the Tri-Beta National convention in June.